Long time no blog! I spent the entire month of July packing and unpacking as we moved apartments, so it was pretty hectic and I had no real time to settle down and write some posts. 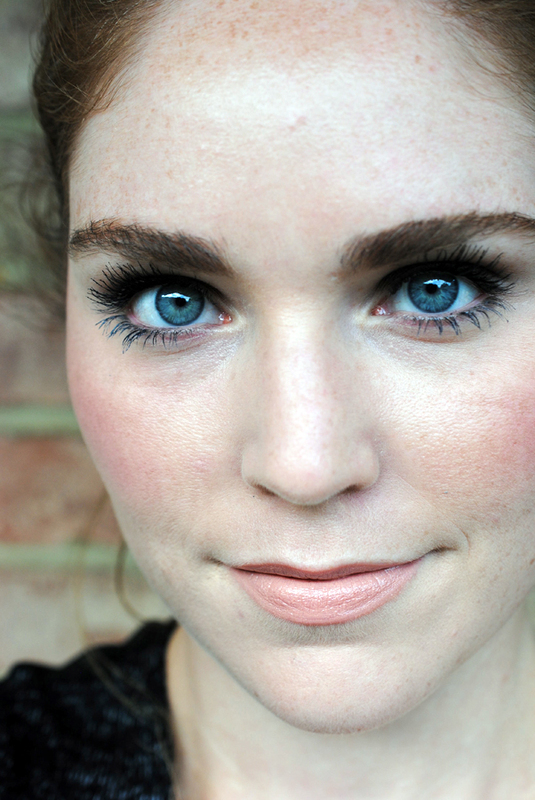 Plus, most of my makeup was packed away so I couldn't really play with it. The good news is that our new apartment is slightly bigger and we had enough room to buy me a little laptop desk to make it more comfortable to blog and work. Even better, our bedroom is bigger so I've been able to move my makeup out of the bathroom finally and found an awesome Target bookcase to display all my stuff. Post on that coming soon! 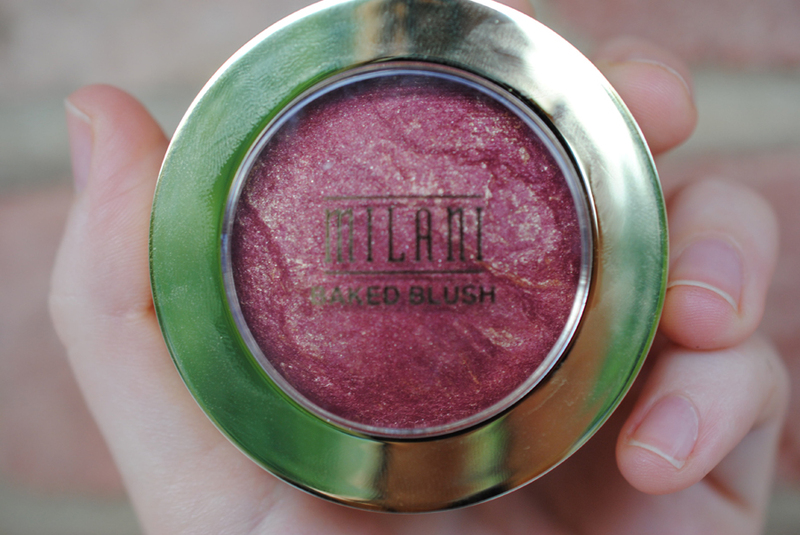 I'm going to jump right into a review of Milani's baked blush Red Vino. Yesterday at CVS, I had $5 ExtraBucks and $5 off $15, so I was able to score two Milani blushes for the price of one (so around $9.50 total). Now I already own the blogger-loved Luminoso and I love that, but I hadn't pulled the trigger in expanding my Milani baked blush collection because they do contain four different parabens. Backstory: months ago, I made a pact with myself that I would try my hardest to stay away from products I knew contained parabens. But...these blushes are one-of-a-kind and I could not resist. 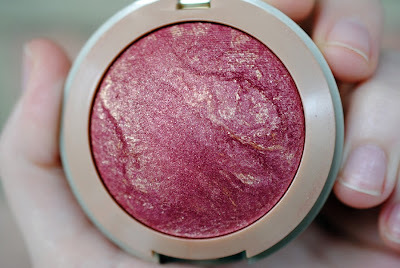 I picked up another blush shade as well, which I will review soon along with Luminoso. 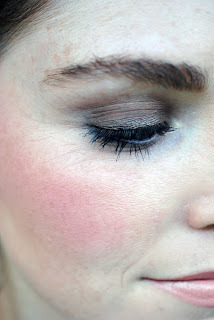 This is an extremely pigmented blush. 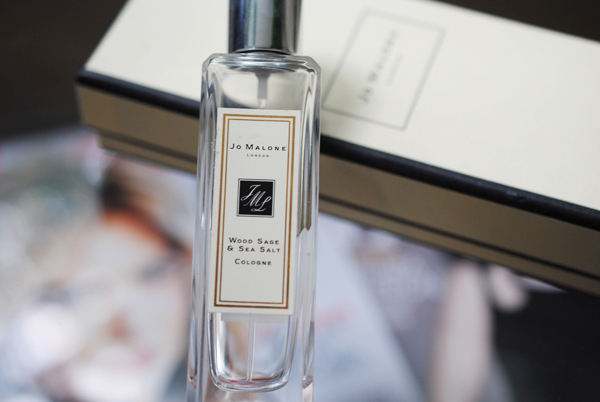 Darker skintones will look gorgeous with this bad boy, but ladies with lighter skintones need to be extra careful and apply with a duo-fibre brush and a very light hand. I learned that the hard way as I was rushing this morning with my makeup and sloppily applied wayyy too much, even though I was using a duo-fibre brush. I was able to save the day with some more foundation and lots of blending, but lesson learned. If you're light-skinned, this is a blush you need to take your time with. If you're extremely fair-skinned, you may just want to skip this one. The good thing is that this sucker is not budging; it is incredibly long-wearing. I am so excited to wear Red Vino this coming fall. The burgundy red gives the face such a nice just-been-outside flush, similar to Tarte's Natural Beauty Amazonian clay blush. 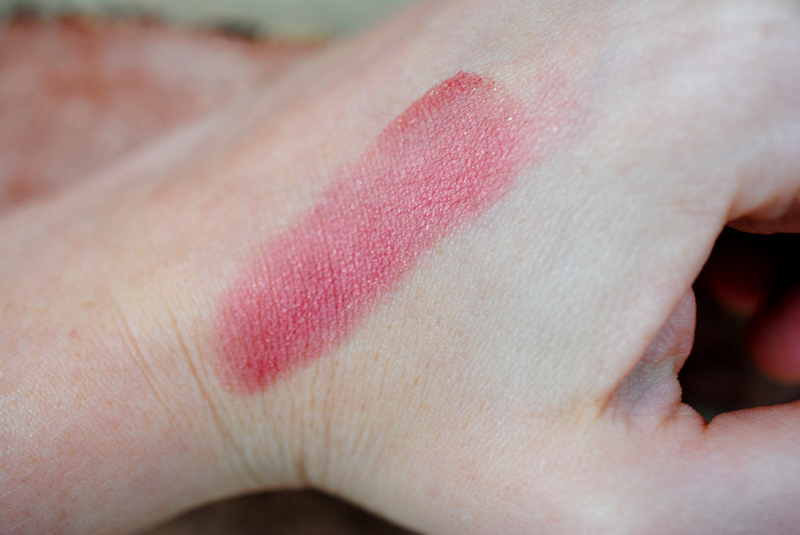 Come to think of it, I think this shade is like mixing Tarte's Natural Beauty with NARS' Sin. Once blended in, the gold shimmer fades into more of a gleam, although in flash photos, you'll be able to see small sparkles on your cheeks (but nothing tacky). When I originally swatched Red Vino on my finger, the texture felt a tad grainy (due to the gold shimmer) side, but once blended onto the face, that wasn't an issue. All in all, I feel a little guilty for buying this blush as it contains parabens, but not too too guilty as I did get it for cheap and the color is gorgeous. What's weird is that not all Milani products contain parabens. Come to think of it, I'm going to revise my no-paraben pact to a ban on high-end products only.